What are the five best all-go, no-show cars in 2014? Get Ciprian's list here. The term "sleeper car" goes back to the 1950s, when American manufacturers started building high output cars that would eventually spawn into muscle cars a decade later. Tracking the first sleeper is a daunting task, but most stories lead to the 1955 Chrysler C-300, a two-door, luxury coupe motivated by a 5.4-liter V-8 engine rated at 300 horsepower. It was the first production passenger car to come with 300 ponies on tap and a design that had nothing to say about that. The "all go and no show" car was born, a trend that would continue with vehicles such as the Mercedes-Benz 450SEL 6.9, the Lotus Carlton or the Audi RS2 Avant. Sleepers are still among us in 2014. Looking for a very fast car that doesn’t scream "I’m fast as a bullet!"? There are plenty of options to choose from that cover various segments. Sedans, wagons, SUVs, you name it. Be careful though, you might miss them due to their bland styling. Make sure you have a look under the hood and check that spec sheet. Meanwhile, I put together a list of Top 5 Sleeper Cars available today. It includes a few American-built vehicles, and a couple more coming from cold, snowy Sweden and rugby-loving Australia. Check them out past the jump and tell me your thoughts in the comments section. Did I miss anything? Is there a vehicle that shouldn’t be on this list? 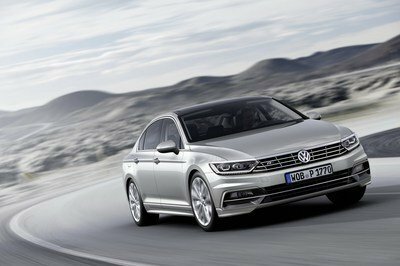 Click past the just to read more about the best sleeper cars on the market. Discontinued in 2007 after 22 years on the market as Ford’s foremost weapon in the midsize segment, the Taurus returned for the 2010 model year. 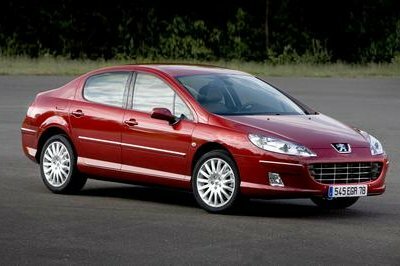 This time, the vehicle grew to become a full-size and take on the likes of the Chevrolet Malibu. The new Taurus is rather stylish when compared to most of its rivals, but there’s no visual indication this sedan could leave in a hurry once traffic lights go green. 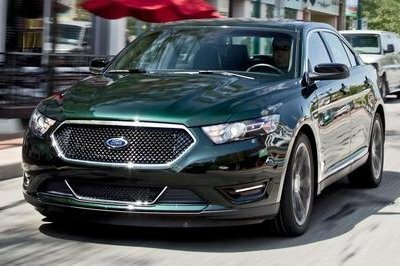 However, the Taurus SHO is a vehicle that’s willing to do just that for you thanks to its peppy, twin-turbo, 3.5-liter V-6. The six banger is good for 365 ponies and 350 pound-feet of torque, which makes it more powerful than any other V-6 in the full-size segment. Mated to a six-speed automatic, the engine makes its full 350 pound-feet of twist from just 1,500 rpm, enabling the SHO to reach the 60-mph mark from a standing start in six seconds. 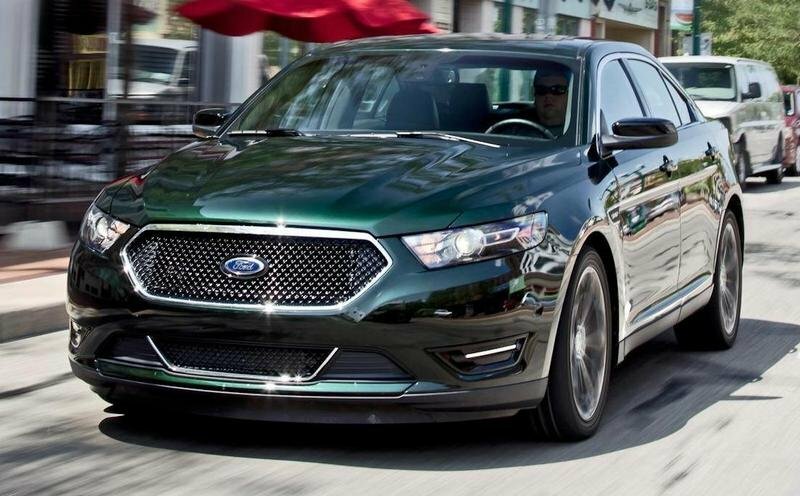 That’s quicker than the Scion FR-S/Subaru BRZ, one good reason to start our list with the Taurus. SUVs are all about horsepower and speed nowadays. The Cayenne Turbo S is more of a sports car that can seat up to five people than a family hauler, while the X5 M comes with driving dynamics worthy of an M3. Simply put, some sports car are no match for these SUVs in the quarter mile. But while the styling of these vehicles provide a good indication of what sort of performance comes from under the hood, not all SUVs are obvious. 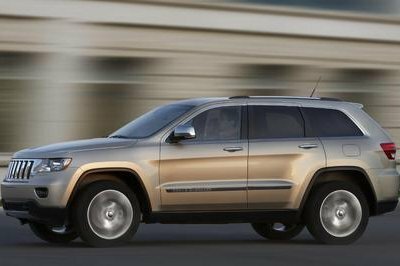 This ambiguous look is where the Grand Cherokee SRT comes in, a Jeep that’s likely to pass unnoticed despite a brawnier body kit. It just doesn’t have the aggressiveness of the Cayenne or the X5 M, but it all changes once the ignition is on. That’s when the 6.4-liter, HEMI V-8 comes to life, with 470 horsepower and 465 pound-feet of torque waiting to hit the pavement at the push of a pedal. Drop the hammer and this boxy SUV charges from naught to 60 mph in just under five seconds before hitting a top speed of 160 mph. 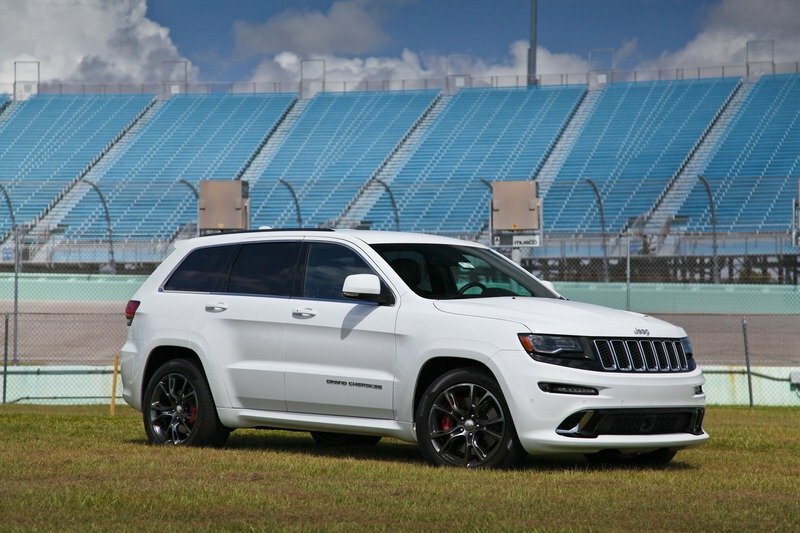 If there’s a sleeper SUV that can smoke a lot of German metal on the drag strip, that would have to be Grand Cherokee SRT. There’s nothing like having a fast station wagon to quench your thirst for speed while enabling you to take your entire family on vacation or carry large amounts of stuff you may need. The Audi RS6 Avant is an option, but the four-ringed estate is a bit too obvious. The V60 R Design, on the other hand, is just right if you’re looking for a sleeper. Although far from being dull by design, the V60 is quite the tame wagon, even in its brawny R Design trim. But as far as performance goes, this grocery-getter is a roadrunner in disguise. 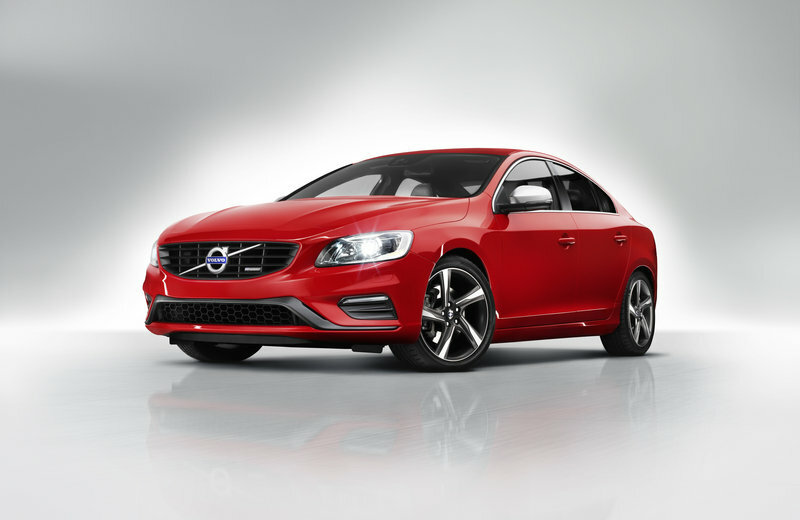 Power comes from Volvo’s trusty T6 unit, which stands for a turbocharged, 3.0-liter, six-banger. The engine cranks out 325 horsepower and 354 pound-feet of torque and uses a six-speed automatic and an all-wheel-drive system to to send all that oomph to the pavement. 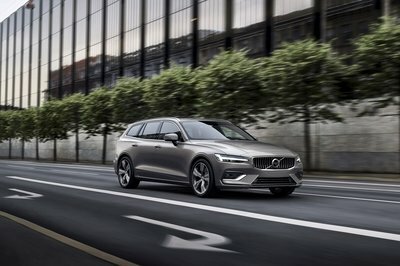 Put it in sport mode, and the V60 R Design needs only 5.5 seconds to reach 60 mph from a standing start. Quite fast for a vehicle that comes with all the legroom and luggage space you need for a fun-filled adventure. Boy, do I like wagons! No wonder I’ve managed to include two on my list. Well, I do like Volvos, and the CTS-V Wagon was a must, so bear with me on this one. This grocery-getter needs no introduction, but besides looking rather bland and awfully dated by design, it’s also highly under-appreciated. Its future remains uncertain as far as a new-generation replacement is concerned, and that’s a real shame because we’re looking at the most powerful, factory-built wagon you can buy today. 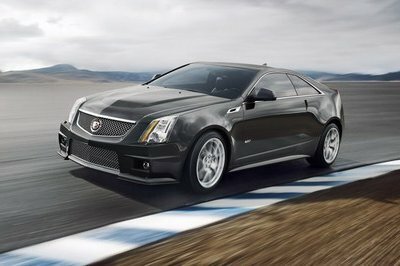 Output of the CTS-V sits at 556 horsepower and 551 pound-feet of torque. 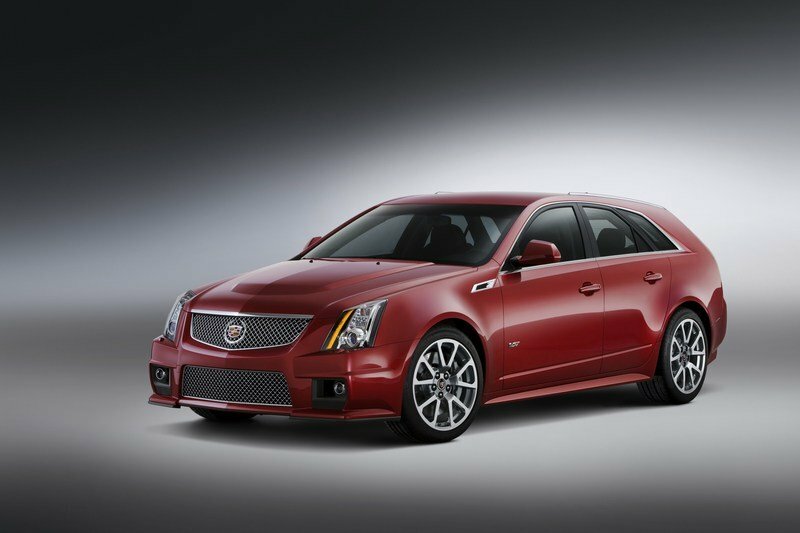 Responsible for all those horses is GM’s mighty, 6.2-liter, V-8 engine with a supercharger on top. The 0-to-60 mph sprint takes around four seconds, while top speed is rated at 185 mph, making the CTS-V Wagon the quickest sleeper from my list. 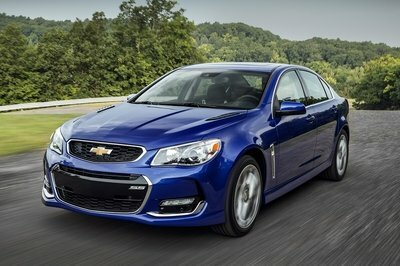 Introduced for the 2014 model year, the Chevy SS is the latest sleeper car to arrive Stateside. Based on the Australian-built Holden VF Commodore, the SS looks like the type of sedan your grandpa would buy. It’s not overly dull, but not that exciting either. It’s just a modern-looking full-size ready to take you from point A to B in a comfortable fashion. If you stand by it, that is. Once you’re inside, and you ignite the engine, the SS reveals its true nature. It’s enough to hear that 6.2-liter V-8 idle to know that an eargasm is about to happen as soon as you drop the hammer. Call me crazy, but the SS is one of the very few rigs that sounds better than the Jaguar F-Type. Providing that awesome exhaust note is GM’s LS3 V-8, a 6.2-liter unit sourced from the sixth-generation Corvette. GM detuned the engine to 415 horsepower and 415 pound-feet of torque, but make no mistake, the SS is faster than it looks. 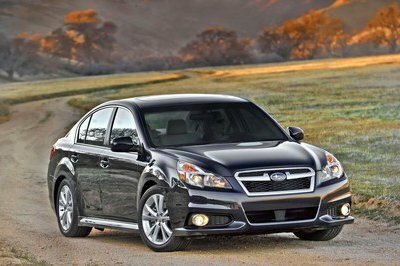 4.9 seconds is all it takes for the sedan to charge from naught to 60 mph before hitting a top speed in excess of 165 mph. 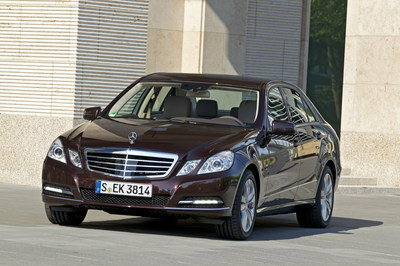 BMW 5 Series who?